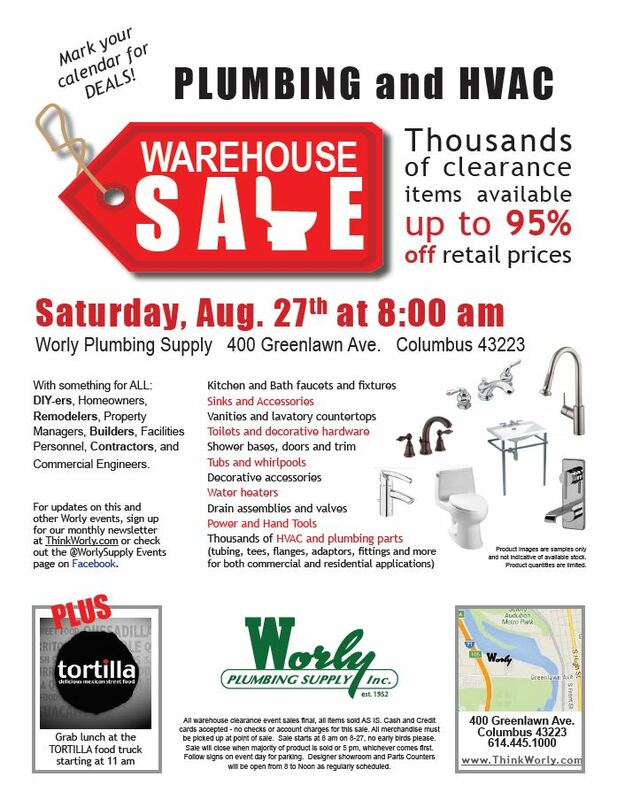 On Saturday, August 27th Worly Plumbing Supply will host a WAREHOUSE SALE at our Columbus location. This event is open to the public. PLUS! Grab a bit to eat with the TORTILLA street food truck, which will be on-site for lunch and refreshments. Details on this event are on the flyer below. Please note, all sales at this event are final, and items will be sold AS IS.